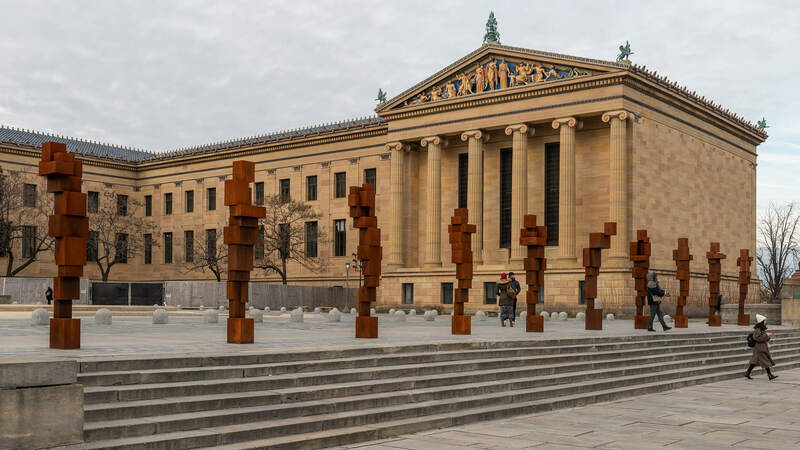 Perched high on the museum’s Rocky steps, ten cast-iron “blockwork” sculptures by British artist Antony Gormley bring art outside, releasing it into the city’s shared space. In these metal bodies, each over ten feet tall, Gormley has replaced anatomy with the language of architecture, using cantilevers, propping, and pier-and-lintel construction, the interplay of masses creating the balance of form and feeling. These are sculptures, not statues—less heroic or idealized, more material and real. STAND offers an opportunity to reflect on our status as urban animals, our common ground with the artworks, and how context influences our thinking. 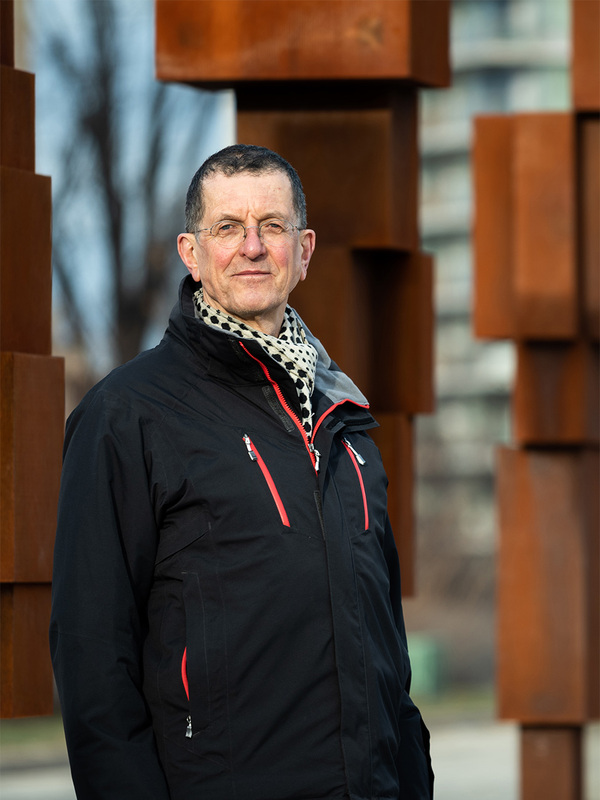 Born in London in 1950, Antony Gormley has had a number of solo shows at venues around the world, including Kettle’s Yard, Cambridge, England (2018); the Long Museum, Shanghai (2017); the National Portrait Gallery, London (2016); Forte di Belvedere, Florence, Italy (2015); Zentrum Paul Klee, Bern, Switzerland (2014); Centro Cultural Banco do Brasil (2012); Deichtorhallen, Hamburg; the State Hermitage Museum, Saint Petersburg, Russia (2011); Kunsthaus Bregenz (2010); Hayward Gallery, London (2007); Kunsthalle zu Kiel, Germany; Malmö Konsthall, Sweden (1993); and the Louisiana Museum of Modern Art, Copenhagen, Denmark (1989). He has also participated in major group shows such as the Venice Biennale and Documenta 8, Kassel, Germany. Major public works include the Angel of the North (Gateshead, England); Another Place (Crosby Beach, England); Exposure (Lelystad, The Netherlands); and Chord (MIT, Cambridge, Massachusetts). Gormley won the Turner Prize in 1994 and has been a member of the Royal Academy since 2003. He was made an Officer of the British Empire in 1997 and knighted in 2014. Learn more about Antony Gormley and his work on his website.